The ability to conceive children can be a contentious issue among married couples and the inability to do so often leads couples to divorce. 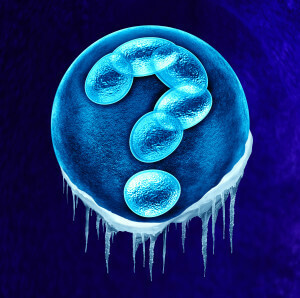 What then, happens to the frozen embryos the couple created for in vitro fertilization? Are they property or children? Can a spouse be awarded custody of the embryo? Courts have routinely held embryos are property, not people. The embryos, however, cannot be divided 50/50 as is traditionally done with marital property. If a spouse is awarded the embryo and the right to bring the embryo to fruition, the parties then face the issues of custody of the child and even child support. An experienced family law attorney can help negotiate all elements or issues surrounding an award of embryos. Be sure to contact our Wheaton attorneys today.